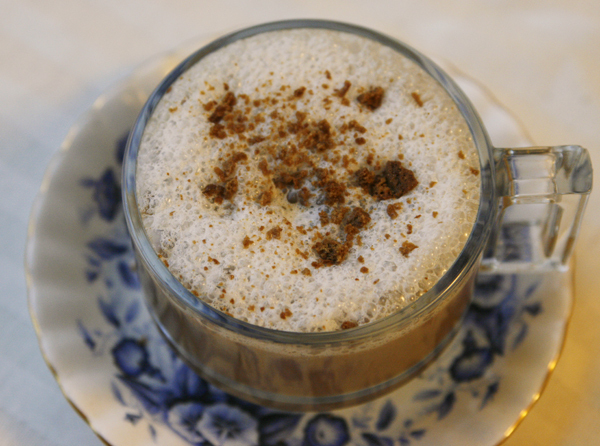 Make your morning coffee extra special with this easy Frothy Cookie Latte recipe. And don’t forget to sprinkle a little ginger snaps on top too. This recipe was created for my client International Delight, but all opinions are my own. On the best of mornings, my early rising friends will text me in those early hours. Sometimes it’s a good thought for the day. Sometimes it’s a quirky comparing of my weather versus theirs. Sometimes it’s just a good morning. Gotta love when your friends know how early you rise — because they do too. It’s a nice way to start the day. And some mornings, when I go to make that morning coffee, I like to make it a little special. One favorite way to do that? By frothing creamer! 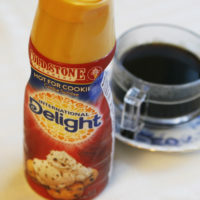 For this, I used International Delight’s Hot for Cookie creamer, which is part of their Cold Stone Creamery line. Just warm it a little and then whisk it (I use my stand mixer) until nice and frothy — it only takes a few minutes. It’s nice when the morning can be a little extra special. 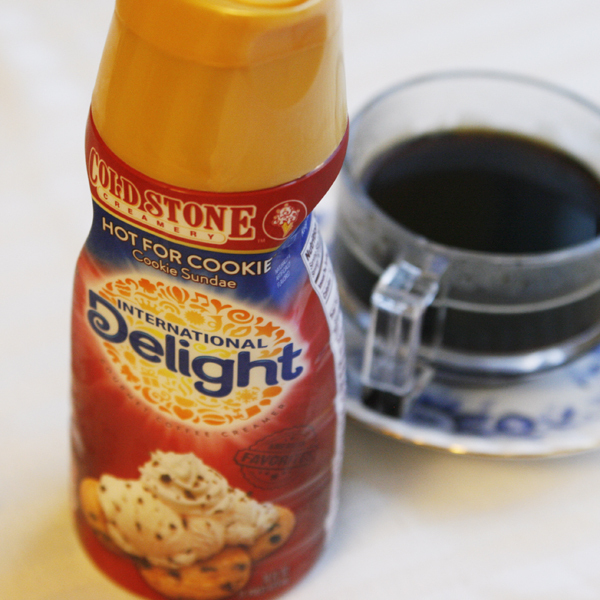 Be sure to also check out International Delight on Facebook and Pinterest. Pour the coffee into a mug. 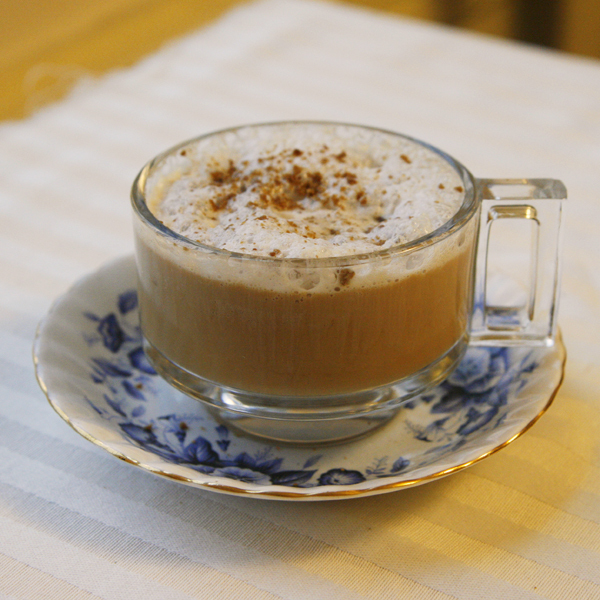 Place the creamer in the bowl of a stand mixer and beat on high until frothy -- about 2-3 minutes. Pour into the coffee. Sprinkle the crushed cookie on top. Enjoy!